Dental technology is constantly growing and changing, and we’re proud to say that our practice is able to keep up with it. We continually update our office with some of the latest tools available so we can offer our patients the best dental care possible in the most comfortable and efficient way. To learn more about some of the advanced technology we use every day, simply read on below. 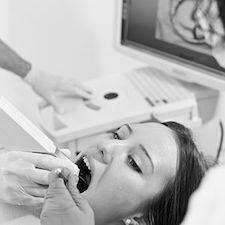 With our Soprolife intraoral camera, you’ll finally get to see your teeth from your dentist’s point of view! This small, pen-sized camera will fit comfortably in your mouth as we take a variety of high-resolution images of your teeth and gums. These can then be displayed on a large, chairside monitor, which makes it extremely easy for our team to spot any potential dental issues, and it’ll give you a much better understanding of what’s actually going on with your dental health. With our Kodak digital x-ray equipment, you don’t need to be concerned about you (or your child) being exposed to excessive amounts of radiation. Our new machine emits up to 90% less radiation than a traditional one, which in itself only emitted a tiny amount. 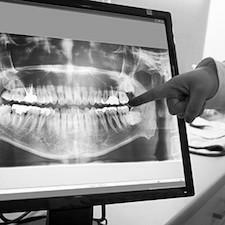 Digital x-rays also take much less time and effort to create images, so now, we can find potentially hidden dental problems even faster while giving our patients peace of mind. 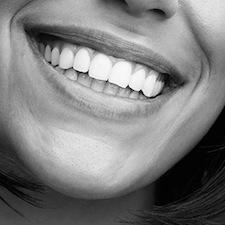 Gone are the days of messy dental impressions! 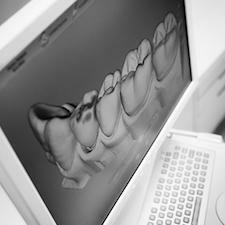 With our E4D Planmeca system, we can create a fully 3D image of your teeth using just a high-resolution scanner. No more weird tasting dental putty! Plus, the impression created by this scanner is much more detailed and accurate than any traditional model, which will improve the quality of any treatment it is used for (such as crowns, bridges, and dentures). Yes! The EZ Lase/Biolase soft tissue lasers we use in our practice can instantly vaporize any harmful bacteria that is infecting your gums, and thanks to its accuracy, none of the surrounding healthy tissue will be affected, which will help shorten your recovery time. Plus, the laser actually cauterizes nerve endings and blood vessels as it goes, which helps lessen and eliminate any chances of discomfort or bleeding. Yes! 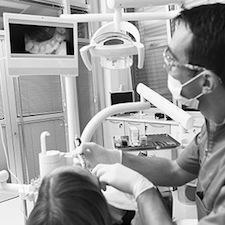 Thanks to our Soprolife camera, we can now catch tooth decay even sooner. 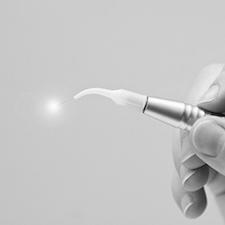 Using a special light, it enables Dr. Bock to see even the earliest stages of enamel wear that would normally be too subtle to be detected by the naked eye or a traditional exam. With this information, he can quickly utilize treatments to strengthen your teeth and protect you from developing a cavity. This tool allows us to save you from having to get more complex (and potentially expensive) restorative treatments over time.